Netflix's "Queer Eye" will begin production of its third season in Kansas City, Missouri, on Monday. Netflix and Visit KC confirmed that the Emmy-nominated show is in Kansas City. Already, one of the Fab 5 have posted pictures in the city. 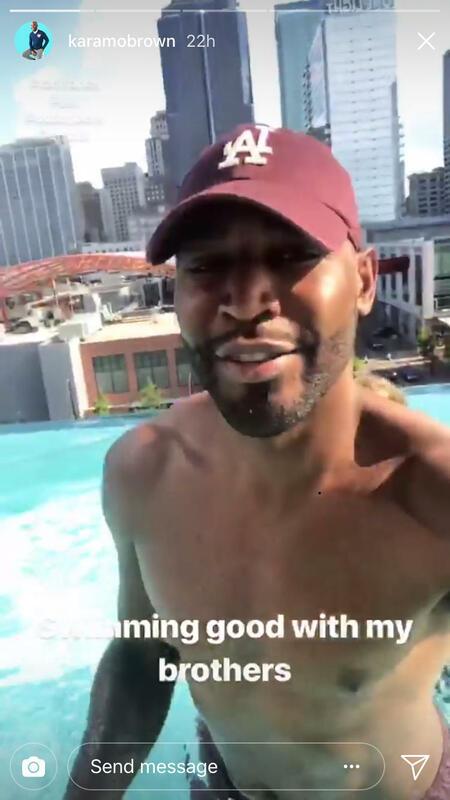 An Instragram story from one of the Fab 5, Karamo Brown, indicates he's in Kansas City. Visit KC film director Stephane Scupham said Kansas City competed against several other cities to get the show. The pitch included a video by Mayor Sly James and an endorsement from Democratic State Rep. Greg Razer, one of two openly gay members of the state’s General Assembly. Scupham said the show will be taking advantage of the local incentive program that provides a 10 percent rebate for certain production-related expenditures. Do you have a friend or loved one in need of a little push when it comes to fashion or confidence? Netflix's "Queer Eye" wants to know. The streaming service's revival of the Bravo TV makeover show "Queer Eye for the Straight Guy" (which aired from 2003-2007) is looking for subjects in Kansas City, Missouri. Though officials with "Queer Eye" told KCUR they could neither confirm nor deny that the show was casting in Kansas City, fliers proclaiming that "The Fab Five are heading to Kansas City, Missouri" have appeared around town. The Fab 5 is made up of food and wine specialist Antoni Porowski; interior designer Bobby Berk; culture expert Karamo Brown; grooming guide Jonathan Van Ness; and stylist Tan France. For each episode, the team members spend a week with their subject, or "hero," updating his wardrobe and living space, brushing up on cooking skills and giving professional and personal advice. The first season of "Queer Eye," filmed in Georgia, also addressed more divisive issues such as religion, racism and LGBTQ issues. Although the original show's makeover subjects were limited to straight men, future seasons may open the playing field. In interviews with multiple media outlets, designer Berk has said to expect "a lot more diversity." In a tweet last week, Kansas City Mayor Sly James said they're casting men, women and couples. To nominate someone for the show, e-mail qecasting@itv.com. Discovery Life says New Girls on the Block is the first reality TV series about a group of friends in the transgender community. It focuses on four couples, all of them from Kansas City.